Something interesting is happening on Broadway. At the 2014 Tony Awards, Jennifer Hudson took the stage to perform a song from Finding Neverland, the soon-to-be Broadway show that she was not a cast member of. The show was currently led by Tony nominee Jeremy Jordan – so why didn’t he perform on the Tonys to promote the upcoming show? The song, performed out of context and with a pop star rather than a Broadway star, left the audience scratching their heads, wondering what exactly was the ploy behind such a nontraditional (and expensive) marketing decision. That performance set in motion a series of fascinating marketing decisions made by lead producer (and film mega-producer) Harvey Weinstein and his team of co-producers. Rumors began circulating that an album of pop stars singing the musical’s tracks was happening, and this spring, after the show opened, the tracklist of said album was released, including the names of some of music’s biggest and least-Broadway-associated performers. Christina Aguilera, Kiesza, Ellie Goulding, Goo Goo Dolls, Jennifer Lopez, Pentatonix and John Legend were all listed on tracks. Broadway purists scoffed at the album, declaring it a desecration of the traditional cast album and a slight to the performers who are on stage 8 times a week. Even knowing the traditional cast album was also on the way for fans who want to hear the cast sing those songs again, why release an album of pop interpretations of songs from a show that had been on Broadway for only a handful of months? Well it isn’t exactly unprecedented. This isn’t the first time an album has been produced in this manner. Elton John and Tim Rice produced an Aida album in 1999, which was also released ahead of the Original Cast Recording, and featured tracks from the musical sung by stars like Janet Jackson, Spice Girls, Boyz II Men, Tina Turner and John’s hit duet “Written In The Stars” with LeAnn Rimes. Aida went on to run for 1,852 performances and won 4 Tony Awards. 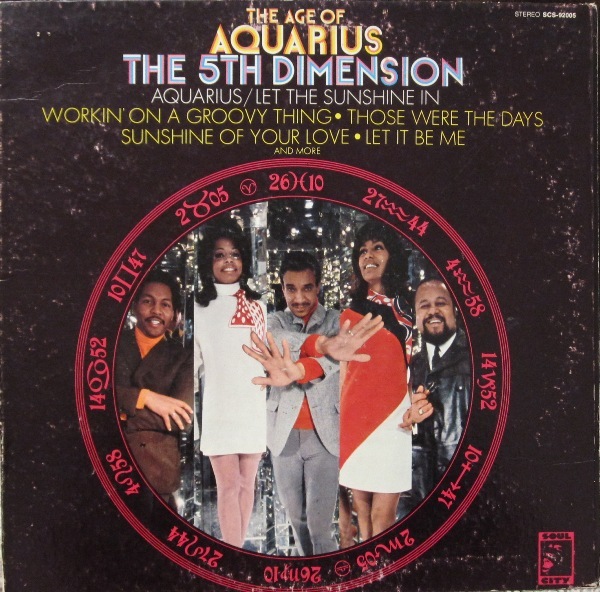 The question I have is: How are these covers of songs any different than Louis Armstrong’s version of “Hello Dolly” or The 5th Dimension’s “Aquarius?” Both of those were number one Billboard hits. For that matter, Barbara Streisand’s cover of “Memory” from Cats is almost more synonymous with the musical than the actual cast recordings of the songs. While it hasn’t been done in a long time, is Weinstein just using a tried and true tactic to get the music from his show in as many people’s ears as he can? After all, Jennifer Lopez superfans might not be the same people who scour Playbill.com looking for the latest info on the newest shows. But now, Finding Neverland is on their radar. I believe there is such a resistance to the pop culture infiltration of Broadway because the larger conglomerates that have the mega-money to produce huge shows are muscling out the up-and-coming playwrights, lyricists and composers. Weinstein himself is said to have told the cast of Neverland that the Tony snubs were not a slight against them, but a slight against him as a mega-producer. Maybe that’s the case, maybe it’s not – but the fact of the matter is, he’s not marketing his show in the way other Broadway shows have been. It’s fair to reason that someone who doesn’t live in New York City would be more likely to know about Finding Neverland than some/most of this season’s Tony nominees, something not lost on Weinstein as the National Tour of Neverland was quickly announced after the show’s opening on Broadway. The larger question is, what’s most important? I’d argue that the future of Broadway rests, uncomfortably, in what audiences outside of New York are aware of when they plan their trips to The Big Apple. Why do shows like The Lion King, Wicked and The Book of Mormon consistently perform to capacity crowds? A combination of recognizable characters from stories people know and marketing that extends beyond the five boroughs. Finding Neverland is doing exactly the same thing, except it has even more money backing the show and an army of artists at Weinstein’s beckoned call to record tracks. I’d argue that while I hope this isn’t setting a precedent that other shows feel they have to finance and mimic, getting the name of a Broadway show in the minds of a younger generation who isn’t watching the Tony Awards and is more infatuated with a Kardashian’s plumped lips or Beiber’s latest dumb move is a good thing. It could be planting a seed that will spur them to see a show they never would have seen otherwise. Ask any Broadway performer and they will be able to tell you what show they saw that changed their life and made them want to pursue the stage as a career. Perhaps, in a very high-financed and nontraditional way, Weinstein is going to do the same thing for the next Chenoweth, Menzel, McDonald or Lupone. To read the entire June issue of BLEEP, click HERE.